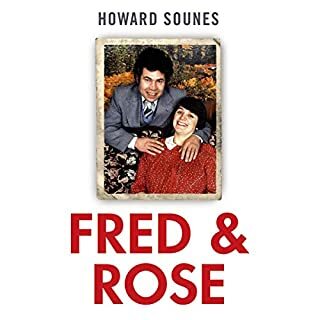 In July 1965, teenagers Sylvia and Jenny Likens were left in the temporary care of Gertrude Baniszewski, a middle-aged single mother, and her seven children. The Baniszewski household was overrun with children. There were few rules and ample freedom. Sadly, the environment created a dangerous hierarchy of social Darwinism where the strong preyed on the weak. In October 1965, the body of Sylvia Likens was found in the basement of the Baniszewski home, where she had been imprisoned. She was starved, beaten, burned, and had the words "I am a prostitute and proud of it" carved into her stomach. Gertrude Baniszewski oversaw and facilitated the torture and eventual murder of Sylvia Likens. While she played an active role in Sylvia's death, the majority of the abuse was carried out by her children and other neighborhood youths. The case shocked the entire nation and would later be described as "The single worst crime perpetuated against an individual in Indiana's history". 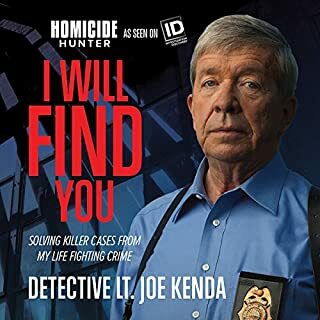 Caution: This audiobook contains descriptive accounts of abuse and violence. If you are especially sensitive to this material, it might be advisable not to listen any further. Wow, I can't even fathom doing to ANY LIVING CREATURE what Gertrude Baniszewski did to young Sylvia Likens. It's gripping, horrific, and makes me really mad. But, sad thing is, it's not so uncommon, it happens a lot - did then and still does now. That's the really scary part. This woman and those who are responsible for this unspeakable act deserve a place in Hell, and I'm glad they're there. 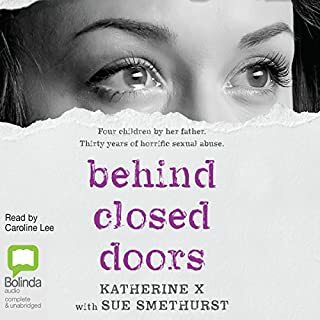 Very well written and well narrated book - I've read, listened to or watched stories about many horrific things, and this one is one that will haunt you. It's hard to hear, but needs to be told. I long for a world where this crap doesn't happen. Over the years I have read many articles, books, and seen websites on the Sylvia Likens case. This is one of the most horrible torture deaths I have heard of. I listened to this book straight through. I just cannot believe anyone could be so horrible at what this woman is responsible for. 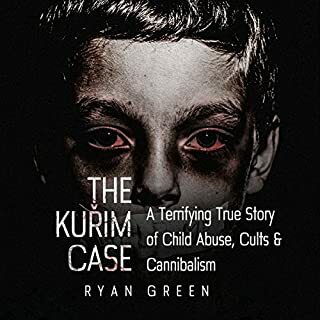 Ryan Green has done an amazing job with this book. Laying out the facts that are no known. Steve White narrated thus story and kept me enthralled and a little sick to my stomach with this book. I was given this title at my request and chose to leave this review. This is the story of Sylvia Likens of Indianapolis, Indiana in the 1960s. She was brutally, brutally, brutally, tortured and murdered for no reason whatsoever. I feel that it is important to say her name. I live in Indy and have known this story all my life. This book has a slightly different perspective, so it was interesting to kind of get the back story of the adult murderous ringleader. I refuse to state her name, although I will never forget it. Sylvia suffered horrendously basically due to what began as shallow jealously. How, and why, the neighborhood kids came over and joined in, is beyond me. The penalties for these people were either non-existent or extremely lenient. None of the perpetrators should have ever seen the light of day. It is a difficult story, but Sylvia deserves for the truth to be told. The narration was smooth and easy to follow. Rest in Peace, Dear Sylvia. 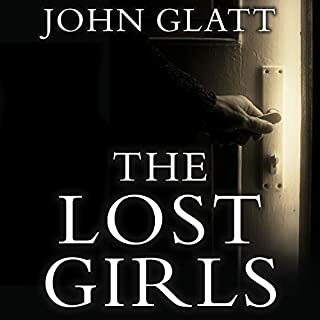 When a sadistic and mentally unstable woman takes in a pair of poor and homeless sister’s the chaos and the horror begins. 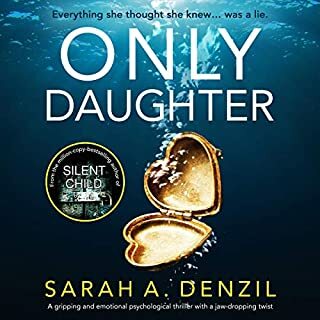 Life has never been easy for the Likens sisters, but it turns into Hell when they are taken in to the Baniszewski house. 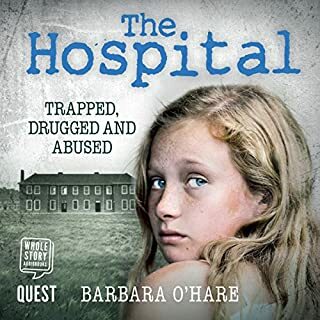 Soon the daily torture that Sylvia has to deal with becomes too much and her body is found mutilated and emaciated and thrown into the basement of the home. When the truth comes out the Baniszewski family is put on trail and judged for their crimes. This is a disturbing tale of what pain one woman can inflict and teach others to do. The horrible truth of what the poor girl had to endure is a painful to read. One can never understand what drives people to do such things. What Sylvia endures was beyond torture and humiliation but must be told so that people will recognize the signs and be human enough to step up and question things before something like this happens again. Narrator Steve White does a good job of bringing the facts of this story to life. He speaks clearly and at a good pace. This story is a hard tale to listen to but hopefully we will learn from it. This is an incredibly sad story to listen to. The torture of this young girl is hard to fathom, much less read about in detail. Gertrude was a monster, along with her children and I can’t imagine how the whole family went along with and participated in this torture. Well written and narrated. 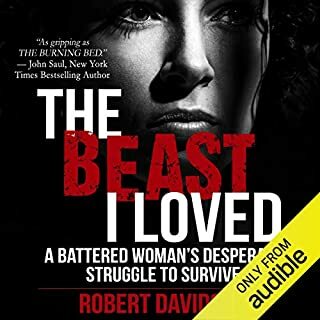 The only thing I’m really taking away from listening to this book is that monsters are indeed real and walk amongst us. 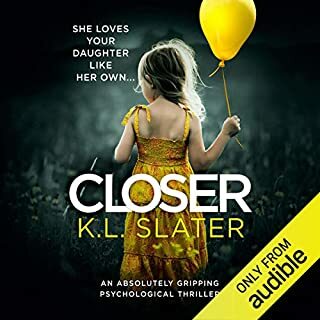 I found the narrator Steve White to be as compelling a reader as there is ; enough to the point of keeping me gripped in Ryan Green's version of the Sylvia Likens case . There are simple facts that are brought to light and other facts blindly swept under a rug that doesn't need to be there by all accounts known. 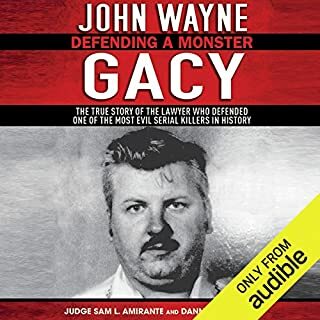 I feel that John Dean's version of Sylvia Likens case is even more disturbing to me because he not only over embellished the connection with Ricky Hobbs to Gertrude B. he was a court reporter of the case at the time and he actually stated that in a court room photo of Gertrude saying her good byes to her son John named him as Ricky Hobbs and did nothing to correct his error and implied and even stranger relationship than was acknowledged by either Ricky Hobbs or Gertrude B. . I find it extremely odd that the fact that at the time before and after Sylvia Likens and Jenny came to stay with Gertrude there was no mention at all in the court case about the 10+yrs. junior man of Gertrude B. in a relationship and was the father to Gertrude's sixth baby...… still an infant at the time of Sylvia's demise . 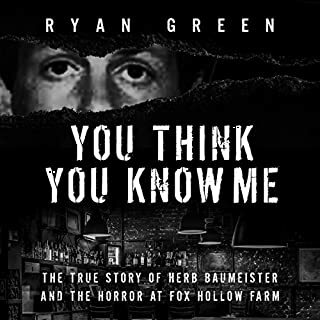 I was disappointed to find that Ryan Green had jumped on the Ricky Hobbs in a relationship with Gertrude B. band wagon and if it were not for Steve White as a narrator for this book I would not have kept it. The one thing I look for in factual historical documentaries is that the facts do not get misconstrued . I have a pretty high tolerance for gruesome tales, but listening to chapter after chapter of a girl getting horrifically abused was tough. Every time I had to hear "whore" shouted yet again, I cringed inwardly. That said, it's a true story and the heads-up is right there on the cover. 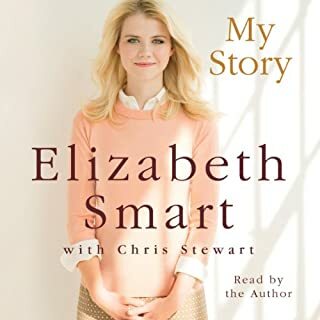 The pace is a little slow at the beginning, with less fleshed-out details of the eponymous Mom's early life, and then once she has charge of the little girls, it's anecdotal retelling of awful abuses for a long while. I thought Steve White was a strong narrator, though his narration is bizarrely lighthearted for such a dark story. I'd love to hear him in other genres. 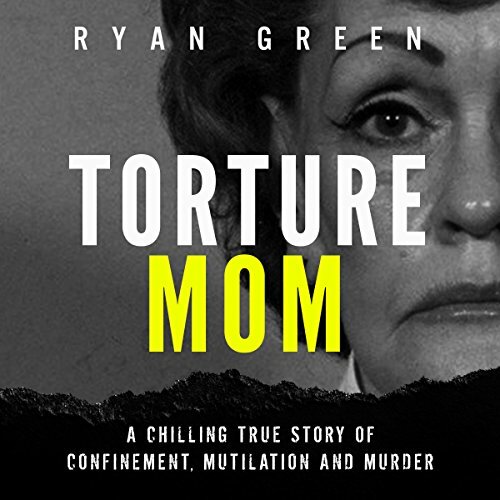 Torture Mom: A Chilling True Story of Confinement, Mutilation and Murder (True Crime). Graphic, upsetting, but superbly read and written. Written as a testament to the memory of a child who is horribly tortured. Humanity has a dark side hiding just under the surface, all it needs is the smallest push; to be released. The lesson of this book is - that all it need is for us the ordinary people to look and see and not act, Then the evil is empowered. Chilling, shocking and totally riveting! 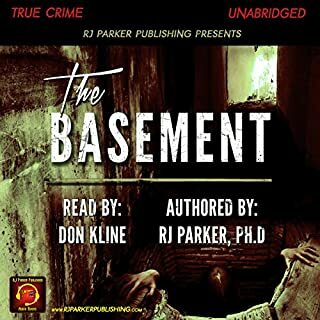 I'm not going to sleep well after listening to this but the narration was fantastic. 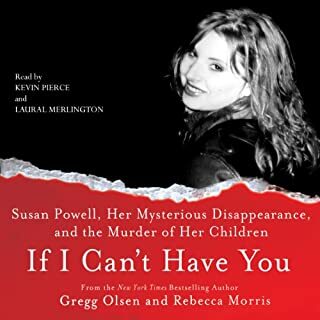 Crazy story but highly recommend for any true crime lover! My heart literally is breaking for Sylvia, that no one, not one person stopped to help her or to investigate this horrible, horrible woman. I literally do not understand how people can be so sadistic and hurt others....the abuse this poor girl endured should never, ever have occurred. What sick person, would burn another with their cigarettes and encourage others to do the same....let alone, brand them with hot needles. I started crying imagining the pain this poor young lady went through and the humiliation, pain and loneliness that she must have felt. 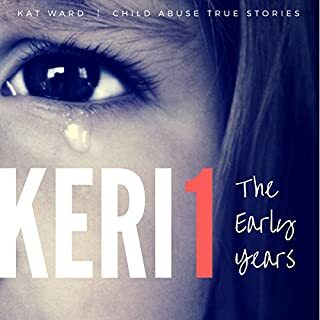 How a mum, or another human can cause this sort of suffering to a child is beyond me, and to have the sort of control over others, to be able to get them to keep quite and even participate. 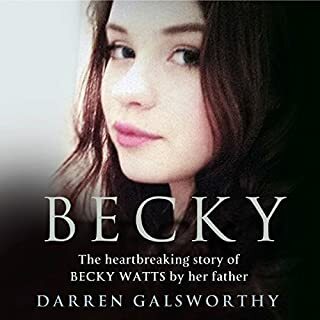 This book is a catalogue of things that killed an innocent child it's sad that so much damage can be being done under the noses of so many and no-one picked up on anything was going. The fact that so many people were involved in abusing this child and yet it wasn't found until after she had died is scandalous.